From The Front Row: NYFWM FW16 Shows — MYBELONGING - High Fashion, Menswear Streetstyle Meets Food, Travel and Editorial Experiences. The NYFWM FW16 shows this season did not disappoint. Although a lot of the usual hype surrounding it has declined a bit since the inaugural season, there's still plenty of excitement both on the runway and streets. Trend-wise, we're seeing established American heritage brands, notably Perry Ellis and Nautica, embrace a more modern and forward direction for contemporary menswear. The aforementioned had prominent models stomp down the runways with their wares; whereas, some menswear designers presented theirs as a collective or even opted for more interactive, engaging and artful exhibitions - in the case of John Varvatos. Dapper and heritage aesthetics remained the dominant part of the menswear conversation, as expected, along with the usual but strong undercurrent of modernist, fashion-forward menswear silhouettes. This constant overlap is beginning to seem less like a tug of war, thankfully, and more like a mutual co-existence. My prediction is that we’ll finally acknowledge and give credit to various niches that have long existed within menswear apparel - brands like Join Chapter, Edmund Ooi, Garcia Velez and PLAC proudly and effortlessly represent an agendered, modern movement that’s pulling a lot of weight right now. Another bold prediction: Blouses, skirts and the shebang may be coming our way in SS17. Highly androgynous, exquisitely-done structural outerwear paired with detailed and interesting basics. 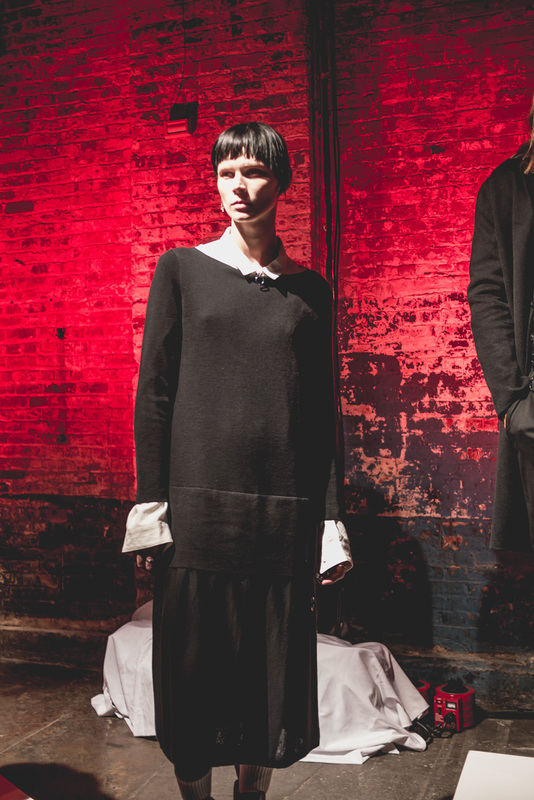 A modern goth with worldly sensibilities. A wide and representative showcase of distinct niches within menswear apparel, ranging from traditional suiting to modern casual, both established and emerging. While the American brand referenced to its roots, Nautica's FW16 collection is a refreshing, much-anticipated departure from its signature aesthetic. The outerwear and knitwear, in particular, were superbly designed and well-constructed. An ode to rock and roll, which is pretty much everything John Varvatos, this uniquely macabre presentation is more museum exhibit than a fashion showcase. The JV team certainly set a new standard on driving home an on-brand message while keeping it memorable and engaging. In the past two seasons, Perry Ellis has gradually transformed into a formidable contender in the current menswear landscape. Their FW16 collection, although not quite as exciting compared to previous ones, upheld the brand's skillful ability in producing robust bags and jackets with surprising details. A protegé of Karl Lagerfeld and Helmut Lang, Siki Im has come a long way in carving out his own directional aesthetic. It's simultaneously mysterious, romantic and grungy as demonstrated by the long, flowy silhouettes - draping done right. Especially with a pair of Dr. Martens.